My Versatility Responsibility – Hey, Look! A Writer Fellow! A few weeks ago the bloggerific Writerlious (aka Erin) honored me with a Versatile Blogger Award – and I am delighted. (According to her blog post, my chilling exposé on the origins of Marshmallow Fluff put me over the top.) Thanks, Erin! As the recipient of this award, I now have to perform a few simple tasks. 2. I must share seven things about myself. 3. I must nominate seven more versatile bloggers. 4. 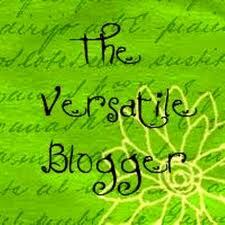 Then I must contact said bloggers and post the award by linking back to the Versatile Blogger Award site. 1. 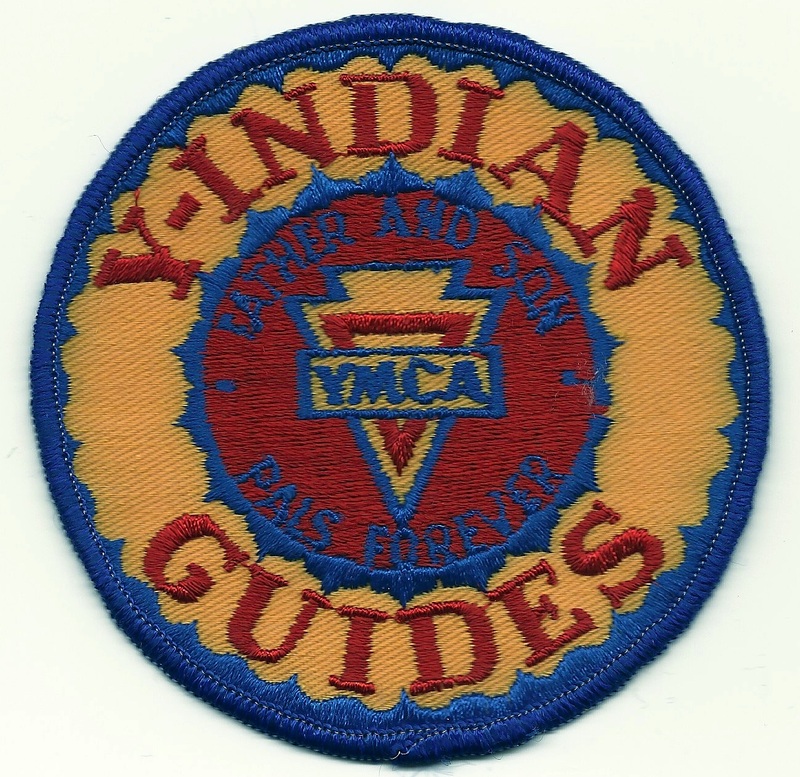 My father and I were once proud members of Indian Guides. For those of you not in the know, Indian Guides (now “Adventure Guides,” I’m told) was an organization designed to introduce fathers and sons to the wonders of nature. That pretty much meant camping. It soon became very clear, however, that neither Dad nor I was cut out for surviving in the wild. (On our very first nature walk, Dad lost my compass by dropping it in a river. Seriously, who does that?) So when Dad eventually became chief of the tribe, he decided to make a few changes. Instead of camping and nature walks, we did things like tour the Drakes Cakes factory. It turned out all the other tribe members preferred this kind of forward-thinking leadership. At least that’s what I think they told me; it was hard to understand them with their mouths stuffed full with Devil Dogs. To me, this patch will forever be associated with the creamy goodness of Ring Dings. 2. My Indian Guides name is “Red Squirrel.” You may still call me this if you wish. 3. Last Christmas, my wife bought me a banjo, which is probably the best present I have ever received in my adult life. I haven’t been able to practice nearly as much as I would like, but I do take lessons and can play an almost-competent rendition of “Boil Them Cabbage Down.” As lousy a player as I am, I find it great fun. My banjo is always within reach of my desktop computer; so whenever my writer brain ceases to function, I grab my finger picks and start a-pluckin’. Everything looks brighter when you have a banjo! 4. I’ve discovered that when I tell someone – anyone – that I play the banjo, the very next sentence that comes out of his or her mouth will include the word “Deliverance.” I try not to let this bother me. 5. My earliest childhood memory is when I was a toddler strapped to the back of Mom’s bicycle. From this perch I watched as she ran out into the center of a busy road to rescue a box turtle from oncoming traffic. I don’t know if we lived in a particularly turtle-rich part of the state or if we just kept encountering one turtle with a disturbing death wish, but I remember Mom doing a lot of turtle rescuing over the course of my childhood. I should also point out that a turtle rescue, from my little kid perspective, was rather unnerving, as it meant that Mom had to leave me alone on the back of a bike with only a wobbly kickstand keeping me from kissing the pavement. 6. 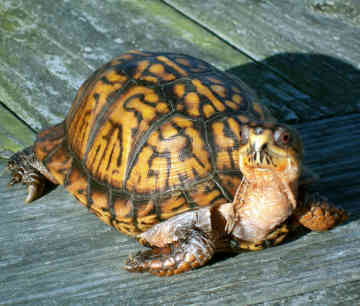 In my early 20s I, too, rescued a turtle from the middle of a busy road. During this heroic and selfless act, it peed on me. Twice. 7. Despite the turtle pee incident (and a few other things), I’m pretty happy with the way my life has turned out so far. All right. Enough about me. Below (in no particular order) are seven bloggers who are all that and a bag of chips. Check ’em out! roxieh.wordpress.com: Simply a fabulous resource for writers. The charming and personable Roxie keeps followers in the loop about any and all writing opportunities. www.juliehedlund.com/julies-blog: Much to my chagrin, I discovered Julie’s blog too late to sign up for her 12x12in12 challenge (one new picture book draft every month in 2012) but I’m already signed up for her 2013 challenge (whatever that might be) and, while I wait, I’m enjoying her frequent posts. practicalfreespirit.com: A science fiction and YA writer whose posts are sincere, thoughtful, and heartfelt. humblenations.com: This guy has got a keen design eye. As a former (and failed) graphic designer, I can really appreciate his talents. You will, too. 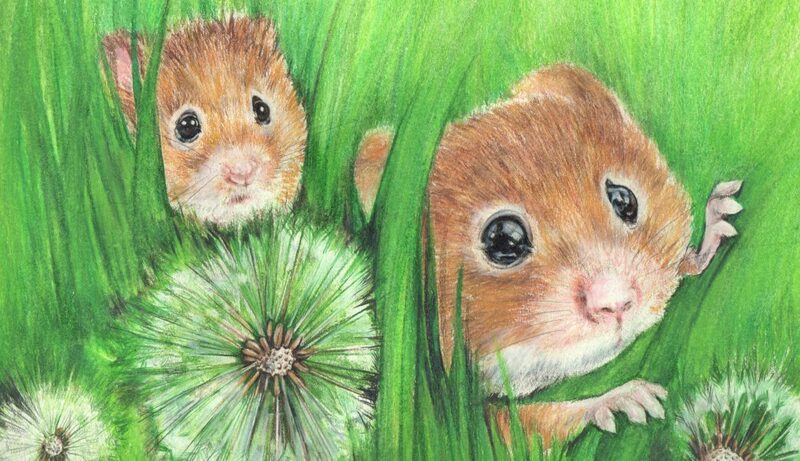 stacysjensen.blogspot.com: I eagerly look forward to her Perfect Picture Book Fridays. thefamilythatreadstogether.com: I fell in love with Wendy’s writing style; I also fell in love with the books she recommends. livelikeagrownup.wordpress.com: Sometimes witty, sometimes inspiring, always a darn good read. Steve Martin’s standup – way back when – was what first turned me onto banjo music. (Kermit the Frog’s “Rainbow Connection” sealed the deal.) I loved the Martin/Steep Canyon Rangers album “Rare Bird Alert” – so I am a bit envious that you got to see them live. I thought Julie’s challenge was awesome (and told Julie as much) so I am scribbling away as an “unofficial” participant in her 12x challenge. I will, however, keep my eyes peeled for open slots. Oh, and as far as “Deliverance” in concerned, don’t add it in your Netflix queue. It’s a powerful and well-made movie to be sure, but, well, there are things in it you just can’t unsee. Hm. Red Squirrel would be a darn good pseudonym, come to think of it. Thanks for visiting! Don’t be a stranger. I’ll certainly check back to your blog; I like your stuff!